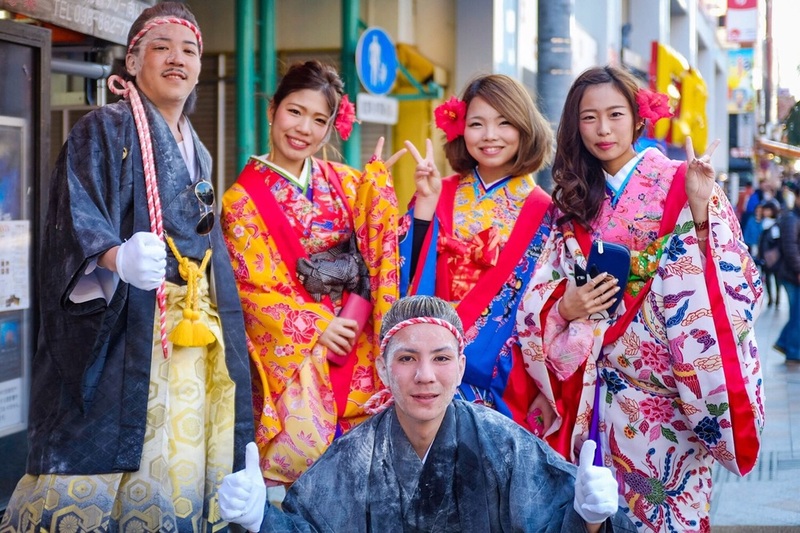 Young people posing in their Kimonos celebrating Seijin no Hi, Coming of Age Day. Taken with my Fuji x100s. Have a great day everyone. Young people in Naha, Okinawa celebrating Seijin no Hi, Coming of Age Day. Fuji x100s. Thanks for visiting today. Feel free to like, comment and share this post if you enjoy the photos. 😊 Also be sure to follow me on Instagram and Twitter @shootlighter to see more photos.